Hey, it could be worse. You could be Mikheil Saakashvili. Sometimes it takes a compelling photograph, a tear-jerker of a story or the sight of a street person badly beaten down by life to remind me that I've got it really good. Sure, I worry about the economy, my kids' future and whether the Mets $36 million investment in Oliver Perez was, in fact, the huge mistake it now appears to be. 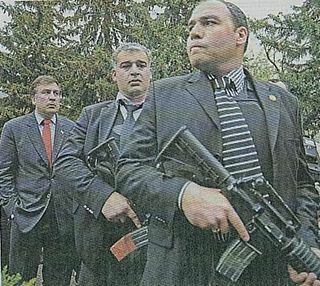 But, then, I see something like Wednesday's Wall Street Journal front page photograph of Mikheil Saakashvili, surrounded by AK-47-toting security guards and I breathe a sigh of relief. Who, you may ask, is Mr. Saakashvili? He's the president of Georgia (the country, not the SEC bastion of legendary college football running backs). There's stress and then there's real stress. 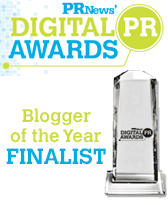 The next time I'm feeling a little down, I'm going to re-read this blog, check out the photo and thank my lucky stars I'm not president of Georgia (the country, not the home of America's finest peaches). This entry was posted in Current Affairs, Economy, Politics and tagged Economy, Media, Photograph, Politics by RepMan. Bookmark the permalink.